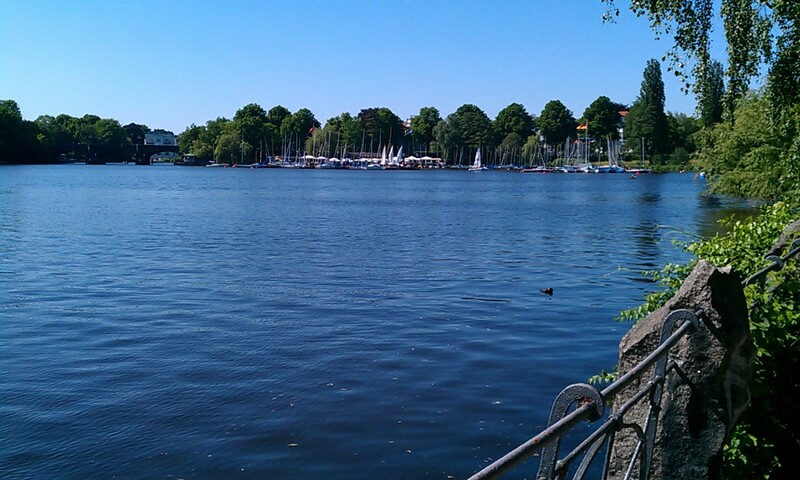 Hamburg is, like most German cities, a paradise for runners. There are big parks, a big lake, rivers and canals connecting the various -- often interesting -- neighborhoods. I consider myself lucky to have lived in the Hamburg area for many years. So, if you're lucky too, someday you'll find yourself in Hamburg with some hours to spend and your running gear with you to try out these great routes. 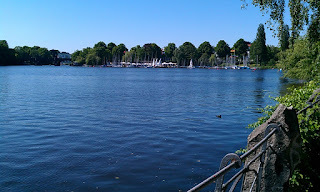 Alster Lake: Hamburg's most popular run by far is a loop around the Alster Lake (Aussenalster). This 7.5-km run circles the lake in the heart of town, lined by parks. On a nice day, the lake is full of swans, sailboats and rowboats. Altona Elbe River: This route explores a bit of Altona on the west side of town before heading along the riverside trail on the Elbe River out to Jenisch Park in one of the most elegant parts of town. Planten en Blomen is a jewel among city parks, with beautiful landscaping, fountains, ponds, cafés everywhere you look. Combine it with the adjoining Wallanlage Park which occupies the old city walls down to the river, with a view over the Elbe at the piers of Landungsbrücken and you'll have one fine run! Eppendorf/Stadtpark: Eppendorf is an elegant, wealthy part of town, located next to the huge Stadtpark. Combine them for an interesting mix of city and nature. Klein Flottbek is another of Hamburg's elegant neighborhoods, with a few hidden little parks and another section of the Elbe River that's well worth visiting.